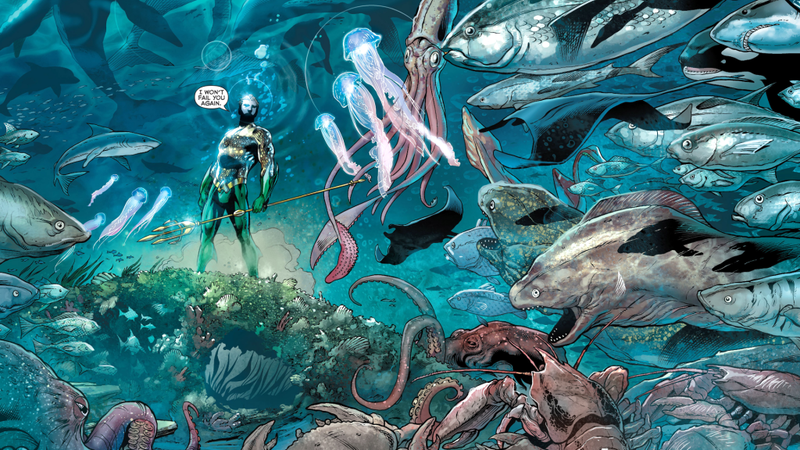 Aquaman is notoriously difficult to nail down for a film, and is generally considered a bit weak, but I think a self-contained adventure in his own underwater universe would work just fine. Submarines? Pirates? Mermaids? Atlantis? Whales? There is no other filmmaker out there today who has James Cameron's breadth of knowledge about the ocean, so it would be a no-brainer. But I guess you couldn't get a whole script out of him, he's a very busy and preoccupied man. A treatment would be enough.